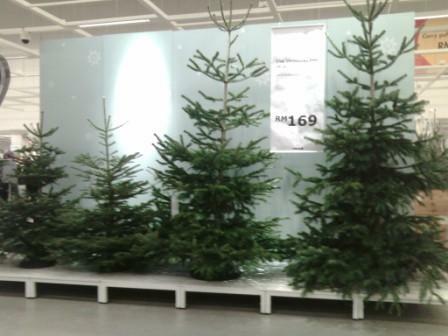 Update: Based on info published in KLExpat, IKEA Malaysia, Singapore and Thailand had stopped importing live Christmas trees for sale in Malaysia (view article). 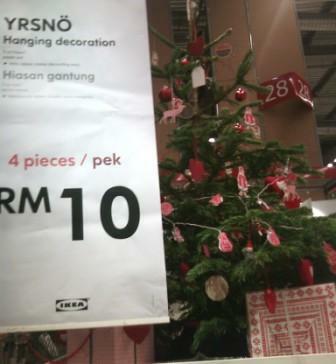 A live tree of about 250cm costs RM169. The shorter ones cost about RM129, if I am not mistaken. 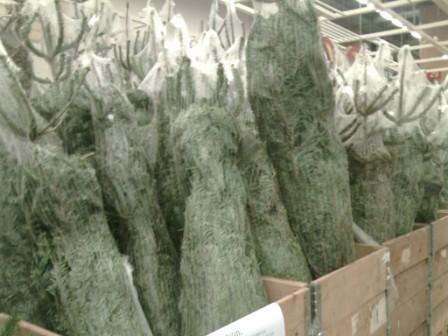 When setting-up your christmas tree, a new sa-cut should be made straight across the trunk, at least half inch above the original cut. The most important thing to remember for the maintenance of a live Christmas tree is WATER. Recommended to add a little SUGAR into the water to make the tree last longer. 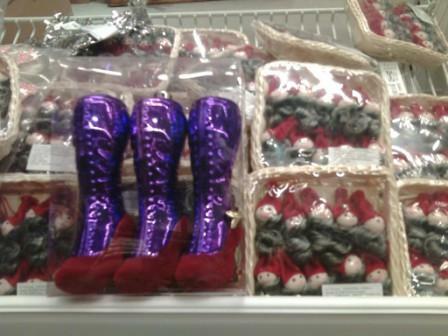 Check out the red heels with purple stockings as well as other designs and other santa heads-used to hang on Christmas trees. 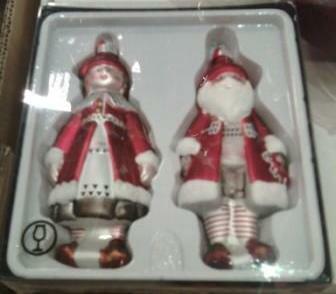 And there’s also Santa and Santarina. 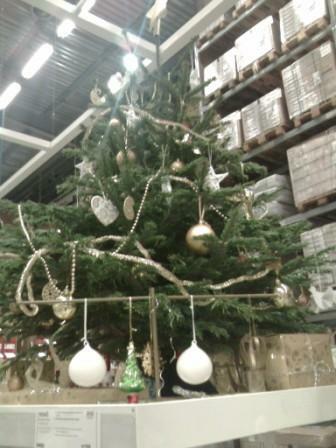 But to complete your Christmas tree deco, you can always buy from other stores.